Many credible witnesses saw this unique UFO, even the similarity of the police reports is rather startling. To this day it remains a mystery but very real for many people. A little known case involves Father William Gill, he and 37 other witnesses saw a UFO on more then one occasion. He had a young child run for a pencil, paper and flashlight so he could document the sighting as best he could, which you will see in the video. He prepared a report and 25 of the witnesses signed it, including, medical technicians and teachers. Father Gill was stationed at Papua New Guinea at the time and agreed to this 1997 interview. It is important to note that that the craft was only 200-300 feet off the ground and he could see "human" like figures who acknowledged Father Gill and the other witnesses". He let our witness out between Blackhead and Roundtop Mountains so he could hunt for bobcat. At this point, he made a pile of stones as a marker to find his way back through the thick woods. He then began his journey into an area called the "Devil's Canyon". He walked about one hundred yard toward the canyon, when he came to a clearing in the woods. At the very edge of the clearing he was surprised to see something in the middle of the canyon ahead of him. From a distance, his first thought it was a building of some sort.He wondered to himself, "Why would anyone put a structure in the middle of nowhere?" Phillip Small and Alvin Cohen were driving in their car near the Lock Raven Dam in Baltimore County, Maryland, on October 26, 1958. Approaching the bridge, they were stunned to see a UFO in the form of an egg-shaped object. The UFO was hovering about 100-150 feet over the top of the bridge. To read the rest of the Loch Raven Dam UFO (Maryland) story. The Milton Torres 1957 UFO Encounter is a case reported by a former jet pilot in the United States Air Force, Milton John Torres, of Miami, Florida. 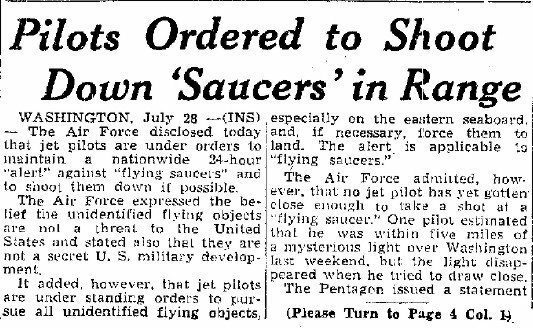 On May 20, 1957, the 25-year-old Torres was ordered on a mission to intercept and shoot down a large UFO that had been picked up by radar in the skies over East Anglia, United Kingdom. Torres, flying a North American Aviation F-86D Sabre jet approached the object and prepared to fire upon it. As he locked on his weapons, the UFO suddenly zoomed away at a high rate of speed. The details of this case were first made public in a release of UFO-related case files by the British government in October 2008. To read the rest of the Milton Torres UFO story. The Majestic 12 group was convened to look into the UFO phenomena when it was at a high in the late 1940. This is a very controversial topic but given the activity of the time it would be astonishing if the president did not convene a blue ribbon panel to study this subject. Obviously the FBI has told the world that the papers were forgeries and in recent years even posted copies of them on their website. What better way to hide the truth then put it in plain site! At the time UFO were being reported from coast to coast. The American government was in high gear testing nuclear warheads, which many claim to be a magnetic for UFO activity. 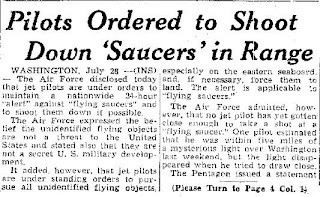 The Roswell incident has just happened and national news reported that the military had recovered a flying saucer. With all that was going on at the time it would be inconceivable that the government would do nothing. This is also about the same time frame that the government launched their misinformation program. You be the judge! This video is a classic UFO sighting from the 1950's it has everything you want to be considered one of the 5% that cannot be explained. Multiple credible witnesses, verification by Brazilian Authorities and pictures that have been untouched. This series covers many different topics all consider strong evidence of UFOs. 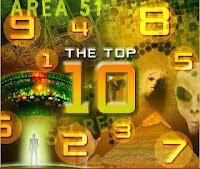 This is one of the best documentaries that you can find in your search for the truth regarding UFOs and aliens in the universe. There are two individuals which are hard to believe but for the most part ﻿those being interviewed appear to be honest and highly credible. The first 30-40 minutes of this documentary are an absolute must watch. 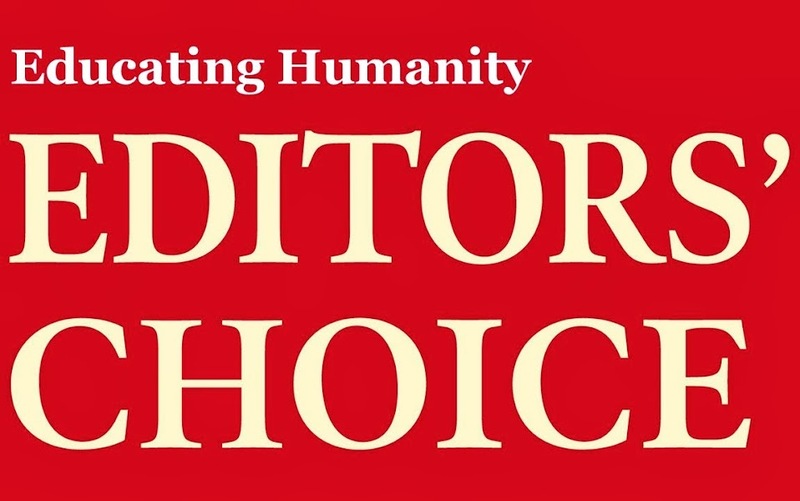 The most compelling parts of this video, (and there are many) are the John Lear interview (starts at 12:45) and the Bob Lazar interview (starts at 18:15). If you have a friend that is a skeptic show him/her, maybe 15 minutes of the segment you like most will open their eyes. For a full list of UFO Documentaries. ﻿NBC's "Confirmation: The Hard Evidence of Aliens Among Us" (1999). You have seen part two to see the rest click Part 1,Part 3, for the debunker to call this a star or a fireball seems outrageous after 15 policemen eye witnessed the event. I can speak from first hand experience, when you see something so closeup and move directly over your head silently you know that is most likely not of this world. It is possible that was a man made UFO but more then likely a UFO of unknown origin! On November 17, 1986, a Japanese crew of a JAL (Japan Airlines) cargo jumbo freighter aircraft witnessed three unidentified objects while flying over Alaska, USA. The Boeing 747 cargo plane cargo plane was on a routine flight from Paris to Tokyo cruising at 966 km/h (600MPH) at an altitude of 10 600 m (35,000 ft). The plane was heading towards Anchorage, Alaska to re-fuel when at 17:11 Captain Kenji Terauchi reported seeing three large objects 610 m (2000 ft) below, describing the largest as resembling a shelled walnut. Captain Terauchi further described the largest craft as twice the size of an aircraft carrier, after several minutes observing the objects the crew noticed the objects matched the same speed as freighter aircraft. The two smaller objects veered 305 m (1000 ft) in front of the craft so much so that the captain said he could feel the warmth of their glows. Military radar picked up the two objects trailing the JAL flight and the FAA requested military intervention, the military did not take any action however the objects stopped trailing JAL 1628 and the airline arrived safely in Anchorage at 18:20. The US Air Force KC 135 jet flying from Anchorage to Fairbanks saw the same object in January 1987 flying from Anchorage to Fairbanks, saying that the object was 12 m (40 ft) from his aircraft. The object then disappeared out of sight. 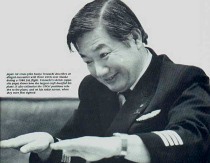 Captain Terauchi lost his flying status for reporting the incident to the public, but 15 years later, the story was corroborated by John Callahan, retired Division Chief of the Accidents and Investigations Branch of the FAA. According to Callahan, his boss FAA administrator Admiral Donald D. Engen briefed members of President Reagan's Scientific Study Team, the FBI and the CIA in Washington, D.C. We know the details today because Callahan attended the secret meeting and saved all audio and video evidence of the event. This famous UFO case involved the sighting of a huge unidentified triangular-shaped UFO by police officers and others in the early morning hours of January 5, 2000, over the state of Illinois. The officers, from a number of small Illinois towns, were able to track the unknown object and maintain radio contact with each other during the event. Their in-depth testimonies have been fully documented by investigators. An Air Force Boeing Stratojet reconnaissance jet RB-47, equipped with electronic countermeasures gear and manned by six officers, was followed by an unidentified object for a distance of well over 700 miles, and for a time period of more than one hour, as it flew from Mississippi, through Louisiana and Texas and into Oklahoma. The object was, at various times, seen visually by the cockpit crew as an intensely luminous light, followed by ground-radar and detected on ECM monitoring gear aboard the RB-47. Of special interest in this case are several instances of simultaneous appearances and disappearances on all three of those physically distinct observation channels, and rapidity of maneuvers beyond aircraft possibilities. Project Blue Book was one of a series of systematic studies of unidentified flying objects (UFOs) conducted by the United States Air Force (U.S.A.F.). Started in 1952, it was the second revival of such a study (the first two of its kind being Projects Sign and Grudge). A termination order was given for the study in December 1969, and all activity under its auspices ceased in January 1970. By the time Project Blue Book ended, it had collected 12,618 UFO reports, and concluded that most of them were misidentifications of natural phenomena (clouds, stars, etc.) or conventional aircraft. The UFO reports were archived and are available under the Freedom of Information Act, but names and other personal information of all witnesses have been changed. For a full list of UFO Documentaries. 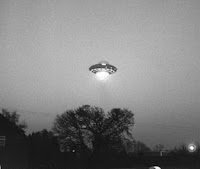 In 1966 Walter Cronkite did a special on UFO's, Friends, Foe or Fantasy. Back in the day everyone was very skeptical and the mainstream media mostly dismissed these accounts, not to far off what happens in 2011. That being said there is a small amount of credibility now being given to the UFO phenomena. If you want to want to see the entire CBS UFO production.